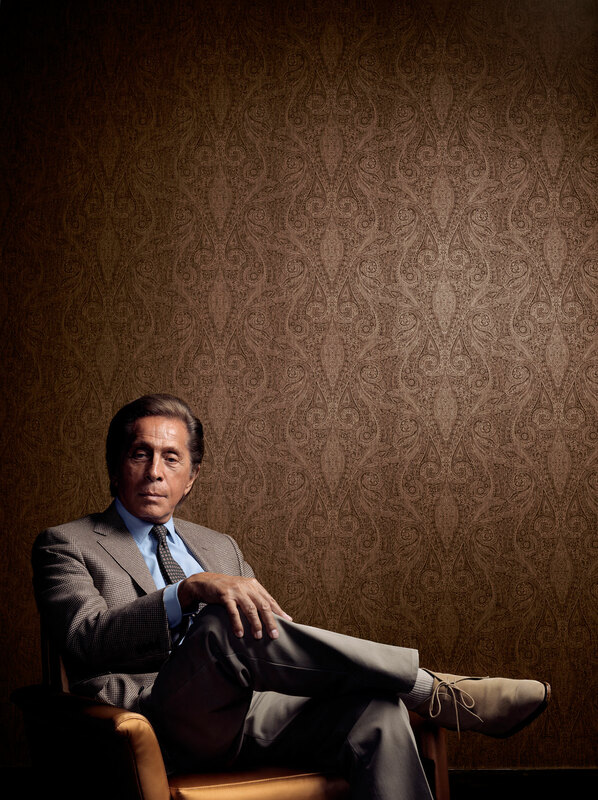 Mr. Valentino, how often in your life have you said the word bellissima? I say it when I see the truth, when I see something truly beautiful. Does that happen every day? I try to put my eyes on things like that. Is beauty really the most important thing for you? As a creator, beauty is the most important. Since I was a child I loved the way a dress looks, I admired a great face, a lovely body. I enjoy the beauty in a woman, in a man, in a child, in a painting. Beautiful things are important and make life important. Since I was a kid I’ve been encouraging myself to appreciate beauty. When you started your career as a young man in Paris, did you ever think that you would become such a brilliant, internationally recognized legend? My dear, when you start it's quite difficult to dream for everybody. But of course you have aspirations. I did a very important collection in 1968 and I realized that I was quite good. All the magazines and everybody came to visit me. I became quite well known for my glamour and my femininity and women started to love my clothes. Since then the fashion industry has changed a lot. How would you sum that up? Fashion has changed every decade very strongly. I like the ’60s quite a bit, I like the ’70s very much. But I hated the ’80s: I think that was something extremely vulgar. Ladies that were crazy to buy clothes but the looks were not beautiful: big shoulders, short dresses, hair like mountains... I never liked it. But I enjoyed the ’90s quite a bit. Shortly before your retirement you said a designer nowadays has to be more like a manager than a creative artist. Do you still agree? They want to make money now. If you want to make lots of money, you try to make a product that sells everywhere. But then your productivity goes down. The products are cheap because the materials are not really expensive. This is not my world, as you can imagine. How do you get inspired? I dream about dresses sometimes. Then I turn the light on at my night table and I draw. I'm also inspired if I go to a museum like the Hermitage in St. Petersburg or if I visit China and see the old costumes of its national theater. I get a lot inspiration from these sorts of things, but never from a woman. I do the dress for a woman, but I don't take inspiration from them. Why is that? You have great relationships with massive movie stars, Hollywood divas, and society ladies, some of whom must be inspiring in some sort of way. The thing is: I have to love my collection; I have to create my own personal things for the season. If I like it, then movie stars and the ladies around me are also very fond of it. What do you think is the most beautiful dress you've ever designed? (Laughs) I did too many beautiful dresses, I am sorry. I am somebody with taste of course and when I don't like things in the collection I don't include them. I just want the essence of beauty. Who is a perfect Valentino woman? A woman with taste. She must know what she wants, because it's very frustrating for me if somebody says, “Listen, I’ll let you do what you want; I'm there like a piece of glass and you have to do something nice for me.” I think it's better if a woman comes and she discusses with you and she has personality so you are more attracted to her to make clothes. This is the kind of woman I love. Which supermodel do you have the closest relationship with, your favorite one? I love many of them, but if I flash back, I have a special, special feeling for Gisele. For me she is now the most beautiful woman in the world; first of all, she is a real super star model. I also love Claudia a lot. Another important person in your life is Giancarlo Giammetti, your longtime partner for more than 40 years. The relationship goes on and on and on, even with the greatest storm in the world. We’ve had discussions, we’ve had problems, but Mr. Giammetti was always very nice to me. And he gave me the possibility to work very calmly and without any bit of tremor. I was always in my creative studio doing my design, preparing my collections without any worry at all. Who is your best friend in the fashion industry? Which competitor do you have the most respect for? I'm very close friends with Karl Lagerfeld. I like what he does, he has lots of talent, also guts, he is very good photographer. And I was a very, very, very great admirer of Yves Saint Laurent. 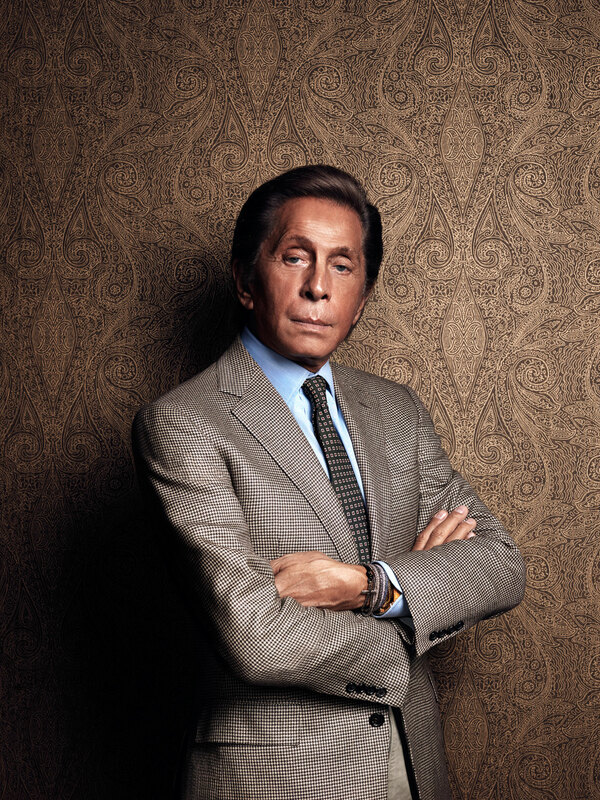 If the young Valentino could meet you today, what would he think? I think he would be very, very happy because I was always a very big dreamer. I was always dreaming of beauty. My mother used to say, you think of stupid things all the time. Your name and your status became bigger than life at a certain point. Was it ever difficult being considered as an icon? 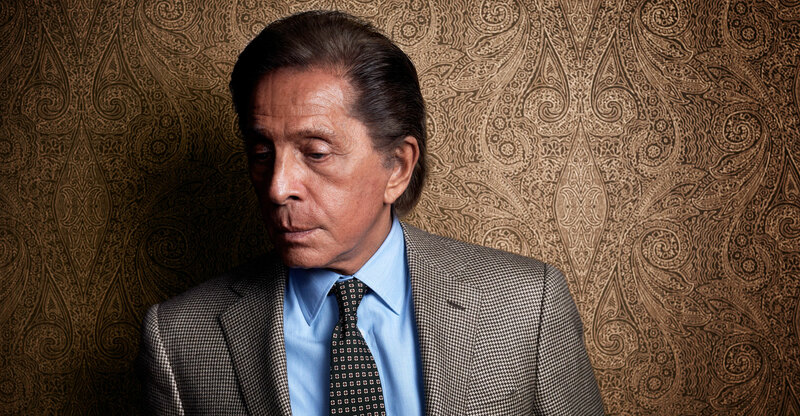 Like people would only see the fashion genius Valentino and not the person? That's very difficult to say. I don’t know. I have always accepted with joy all the names and the titles that they have given me: The King, The Emperor, The Icon. I am Valentino. I live in my own world. My life didn't change, it's always been the same.I still am like I was many, many years ago, the same person. I love to create clothes, I love beautiful things, I love beautiful houses, I love entertaining. If they want to call me an icon, okay, then I am an icon. What can I say?